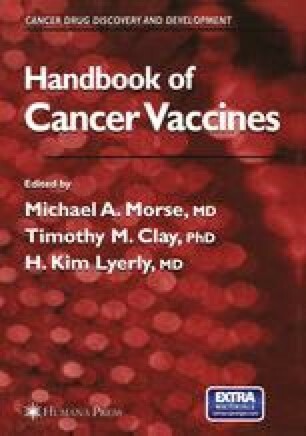 Active specific immunotherapy, more commonly known as the use of “vaccines” for the treatment of cancer, has found its greatest use in melanoma. The ease of establishing primary cultures of melanoma cells, and cell lines, has enabled the study of immune responses toward melanoma more readily than most other tumors. The availability of these cell lines has facilitated the production of allogeneic vaccines for treatment.